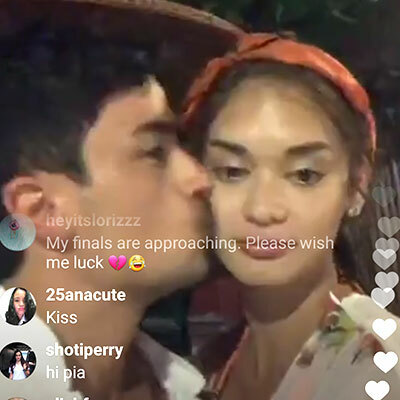 Miss Universe 2015 Pia Wurtzbach openly displayed her affection for boyfriend Marlon Stockinger via her Instagram live video at 8:26 p.m. this Saturday, March 25. 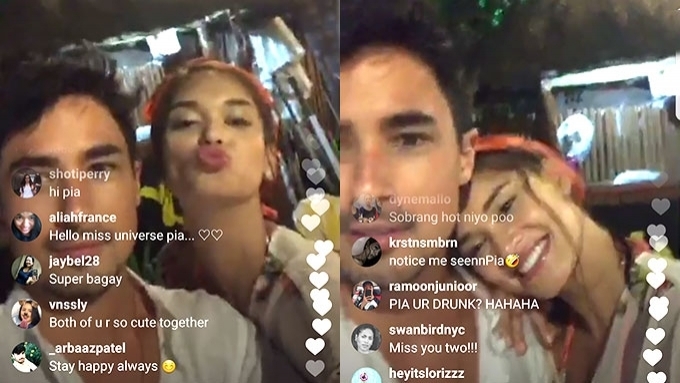 In a rare moment, Miss Universe 2015 Pia Wurtzbach publicly displayed her affection for boyfriend Marlon Stockinger via her Instagram live video this Saturday night, March 25. It all started when both Pia and Marlon went live on their respective Instagram accounts while chilling with some of their relatives in Boracay. Then Pia asked her Instagram followers: “Saan mas masaya, Team Marlon or Team Pia? 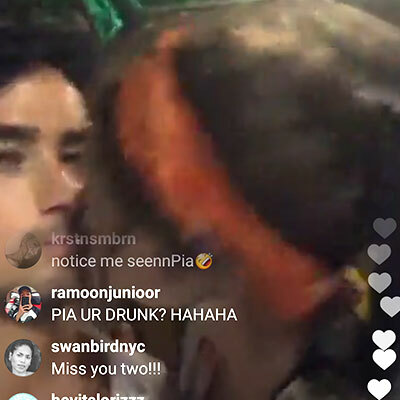 During the latter part of Pia’s live video, she unexpectedly gave Marlon a quick kiss on the lips. The couple's sweet kiss was captured by PEP.ph (Philippine Entertainment Portal), as seen in the photo below. Marlon, for his part, also kissed Pia on her right cheek. Netizens noted how happy Pia looked as she exchanged light banter with Marlon. The 27-year-old beauty queen candidly said, “Guys, just because a girl’s having fun it means she’s drunk.